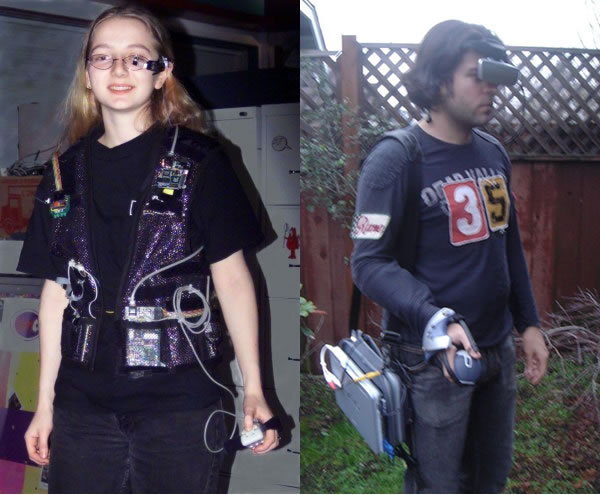 The Exciting Age of Wearable Electronics #WearableWednesday « Adafruit Industries – Makers, hackers, artists, designers and engineers! 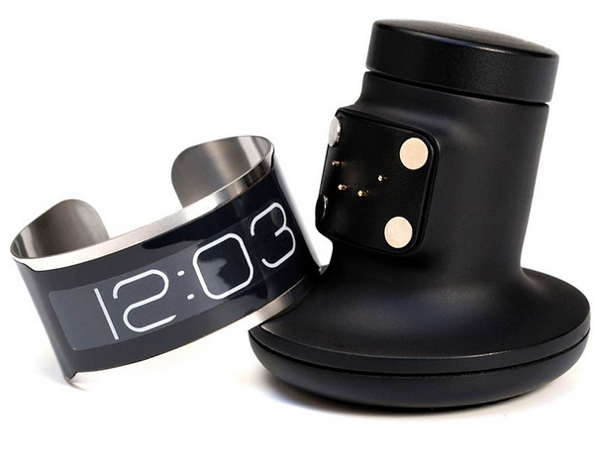 Welcome to the golden age of wearable electronics. 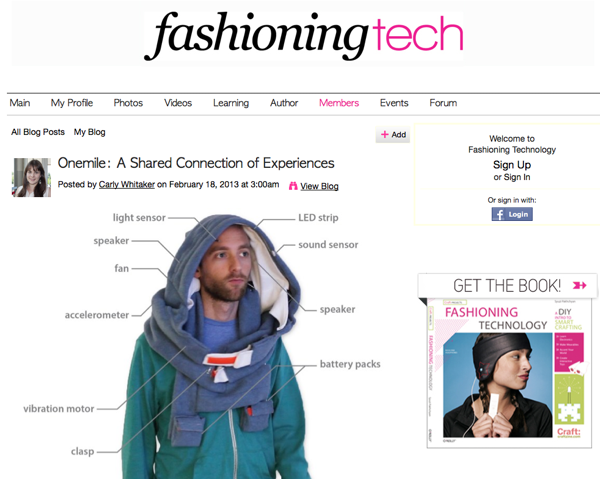 Every day I imagine new ways to augment flesh and bone with flashing light and bits & byte. 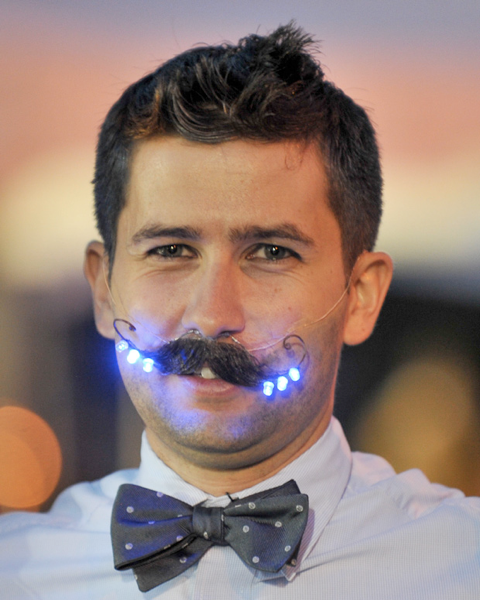 As Adafruit’s Director of Wearables, I realize I may be on the extreme end of the spectrum here. 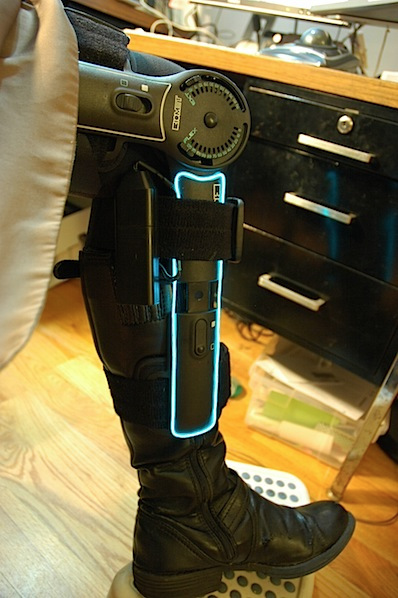 As a kid I was very into Star Trek, from the badge-style communicators to the Borg and coveted my LA Lights LED-soled. I frequently joke about needing Dr. Octopus-style robot legs to accommodate for my bad knees, and look forward to the day I can have a custom-made replacement joint that takes advantage of 3D modeling and printing. If there are any orthopedic surgeons reading, I have all my MRI dicom files ready to go. 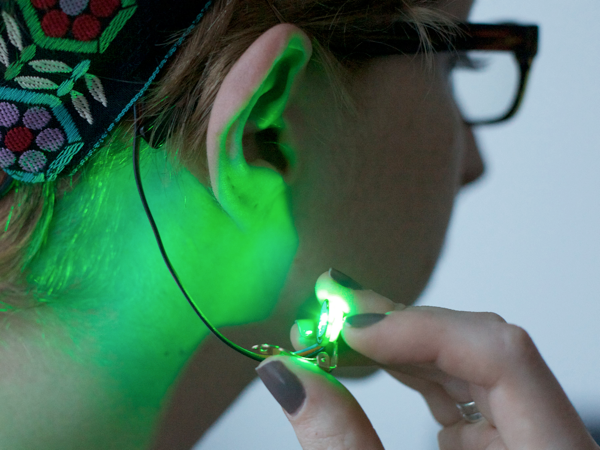 Ladyada and Phil Torrone have been experimenting with wearables for over a decade. 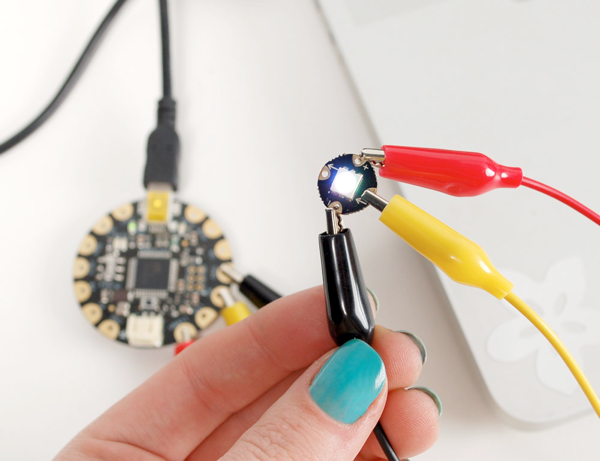 At Adafruit we’ve been thinking how we can provide the best resources to learn how to make wearables fun and useful. 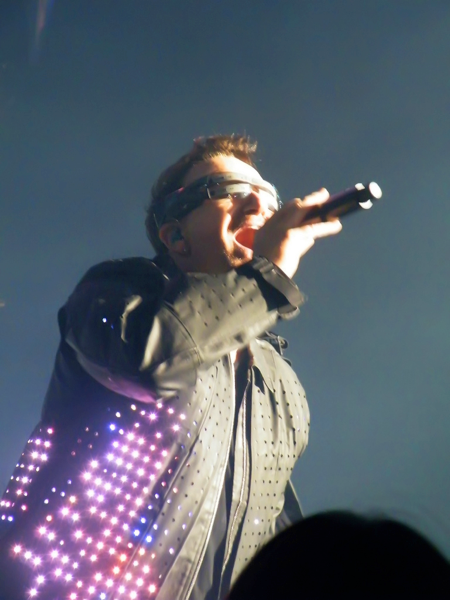 Pop prevails – Wearables are really taking off in celebrity performance wear and red carpet fashion. Couture price tags accompany these custom designs seen on Katy Perry, U2, Kanye West, Lady Gaga, Madonna, Rihanna, OK Go, & more. 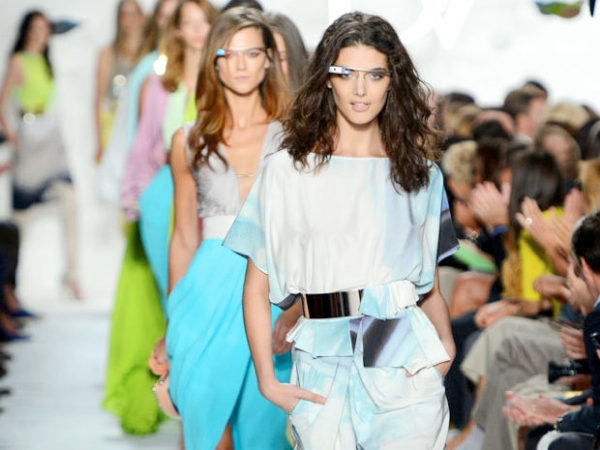 Phones are the ultimate wearable electronic device. 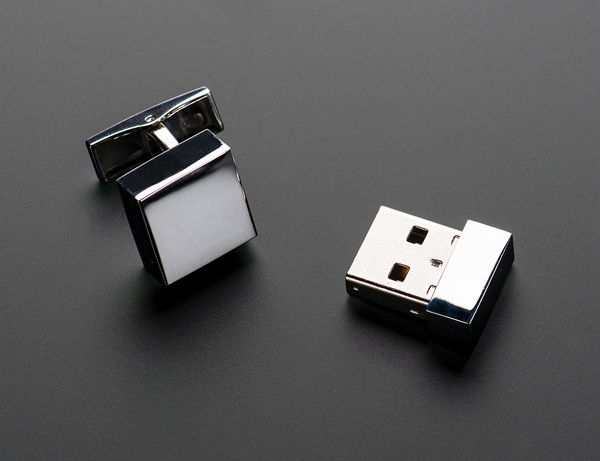 We carry them with us everywhere, and their development fuels many technological developments, not the least of which is the miniaturization of batteries. Hackers won’t be satisfied with off-the-shelf hardware, we seek to mod for both flair and function, as seen in this iPhone light mod and RFID iPhone. Phones can also connect to other hardware you carry via Bluetooth– we expect to see a lot more development of wearables communicating with phones via Bluetooth in the next few years. 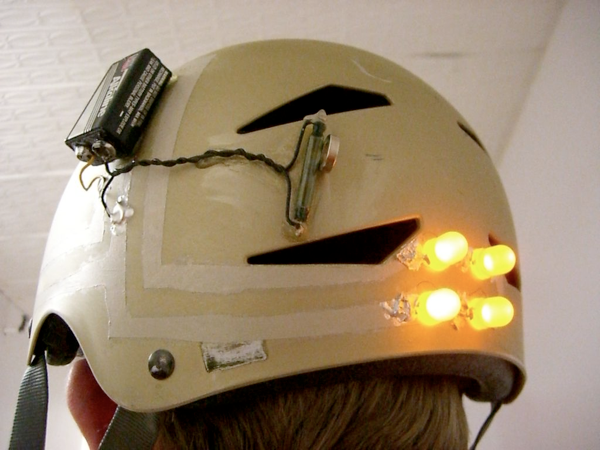 Navigation – Wearables like my LED bike helmet and the early North Paw prototypes looked and felt like they were court-ordered, but DIY navigation accessories are starting to look sleeker and more natural than ever before. 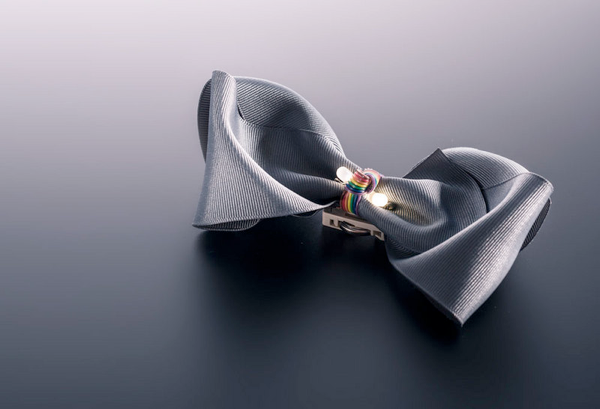 Fashion accessories like these chic Guide Me Home wingtips or our GPS Jacket have lost the bulk and are much lighter and subtler than just one or two years ago. Visibility – Bike projects have a special allure for wearables makers since they (arguably) improve safety while looking fly at the same time. 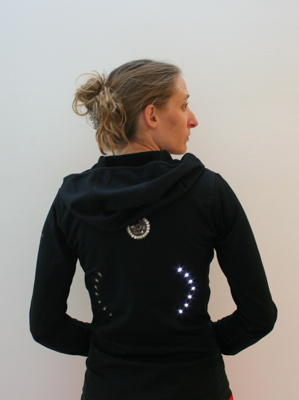 Inspired by Leah Buechley’s turn signal bike jacket, I made my first bike lights in 2009, and just recently published the Flora Brake Light Backpack. 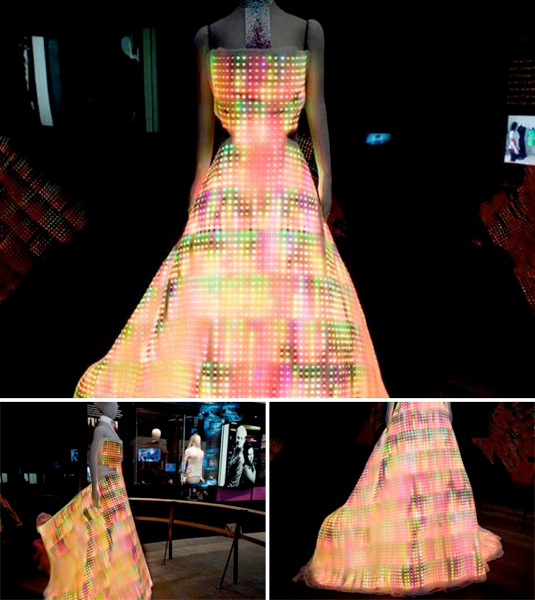 Sometimes wearables are for flair and self expression like this EL Tron prom dress or our VU-meter tie project & iNecklace. My experience constructing electronics is deeply rooted in crafts. It is my passion to combine the two. I proselytize by making tutorials using craft techniques with electronic materials. 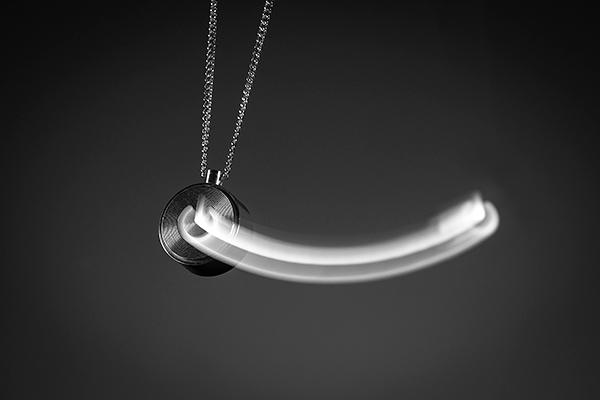 It’s amazing how expressive you can get with two LEDs and a coin cell battery! 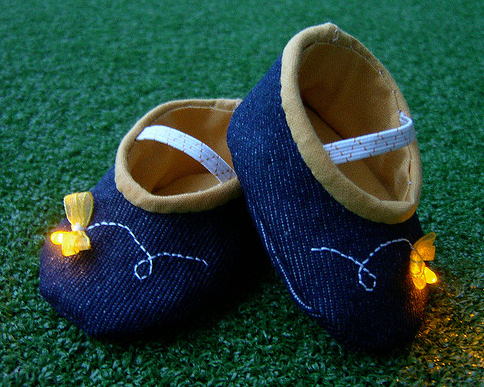 These LED shoe clips, hair bow, and baby booties all have the same circuit diagram. 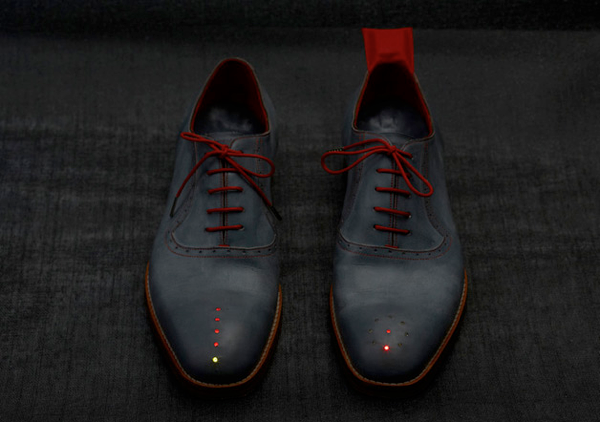 I love the idea that our clothes could give us super powers, and turning off TVs is as practical as electronic superpowers get. 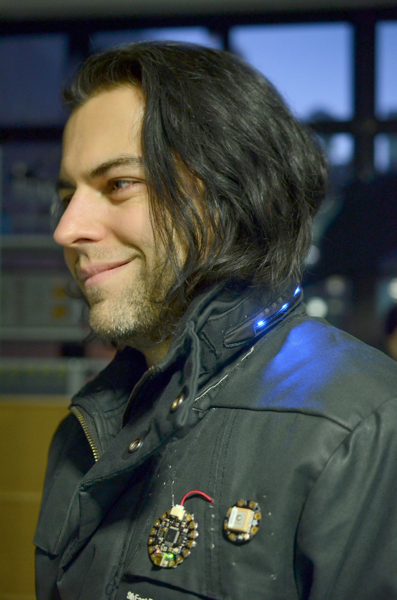 I made a TV-B-Gone hoodie, then doubled up with a TV-B-Gone Jacket, and then a Flora TV-B-Gone brooch that can go on any garment. When Flora’s little sister Gemma is available, we plan to make a TV-B-Gone hair bow. Biometric communication – While I wouldn’t call these devices mainstream, you can buy Brainwave cat ears or build a beating heart headband. 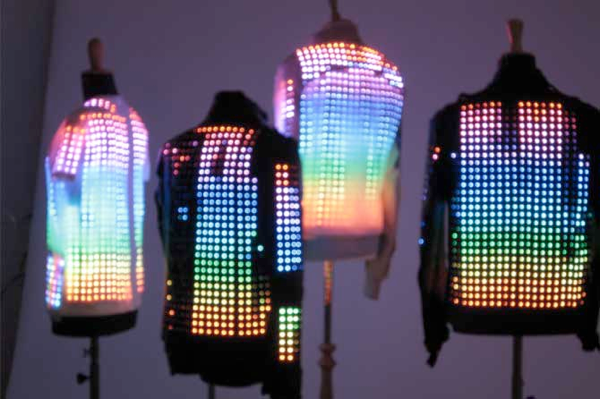 The dream of a video jacket, a gown dripping with pixels, and other garments-as-displays – We are getting closer to a DIY video jacket. 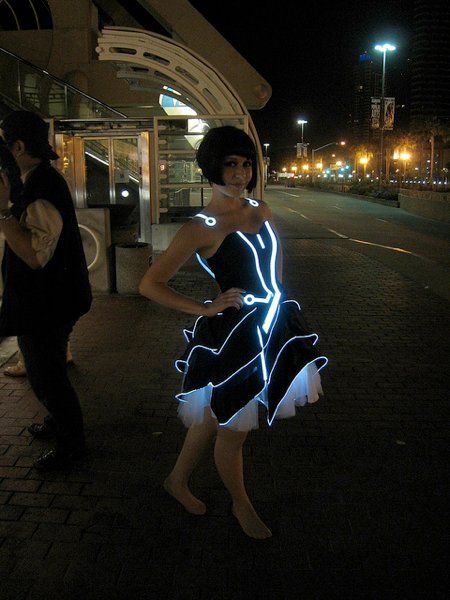 Cute Circuit’s over the top galaxy dress impresses on a mannequin; they also build performance garments like the U2 special jackets. 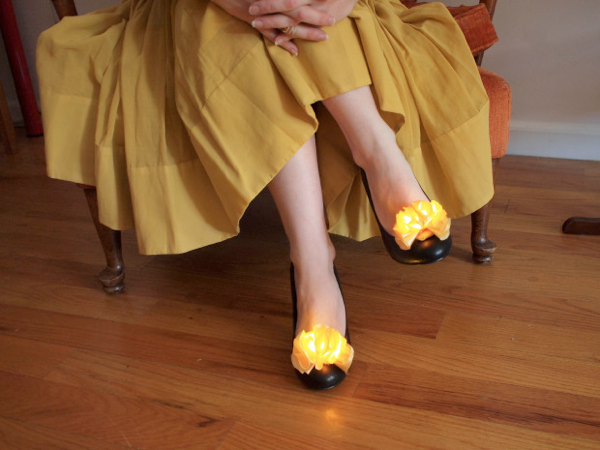 We hope that Flora and the Flora NeoPixels get us closer to building this look at home without the $20,000 price tag. This whole post just made me geek all the way out. 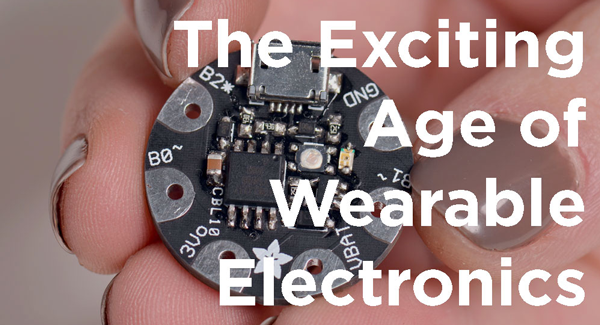 After spending the last four years experimenting with wearable electronics especially in fashion, adafruit’s wearable Wednesdays get me excited every single time. Keep it up.